This Taiwanese shop has been around for more than 2 years but its existence usually go unnoticed as most passersby will just walk past without casting a second look and i happened to be one of them. It was about 6 months ago when i stepped in for the first time. The shop is manned by a friendly Auntie all by herself, she has a distinct Taiwanese accent which i initially thought she is originated from there or at least have been there for a while to acquire such an accent. When we chatted, she told me that she is a local but she gotta learn how to make the dessert from a Taiwanese if i remember correctly. She said, 'Everything is handmade and we made them right here'. 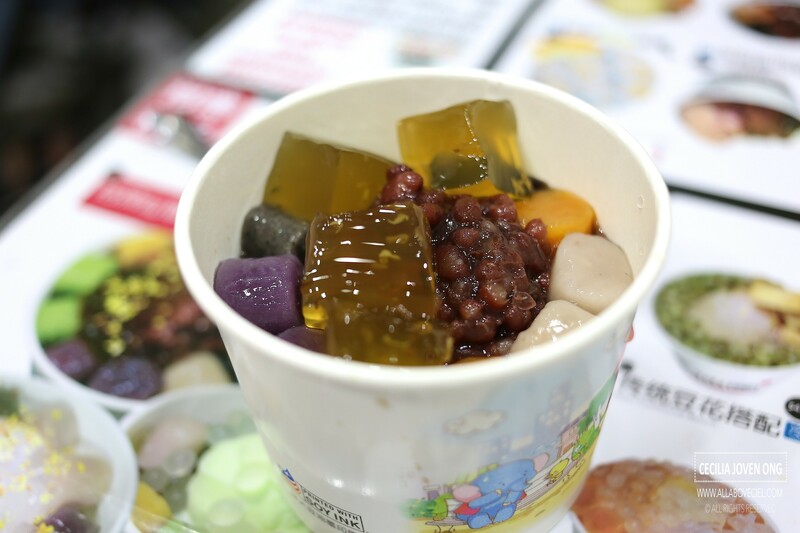 There are a few signature items to choose from and my favourite has to be the one with grass jelly (仙草 )for just $4.30, prices are definitely much lower than that of the Blackbell. 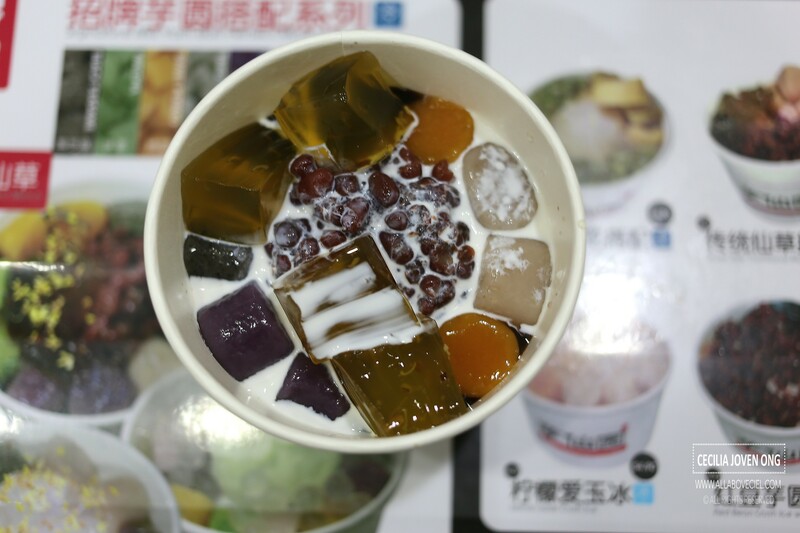 If you do not want grass jelly, you could also choose between ice jelly (爱玉) and soya beancurd (豆花). 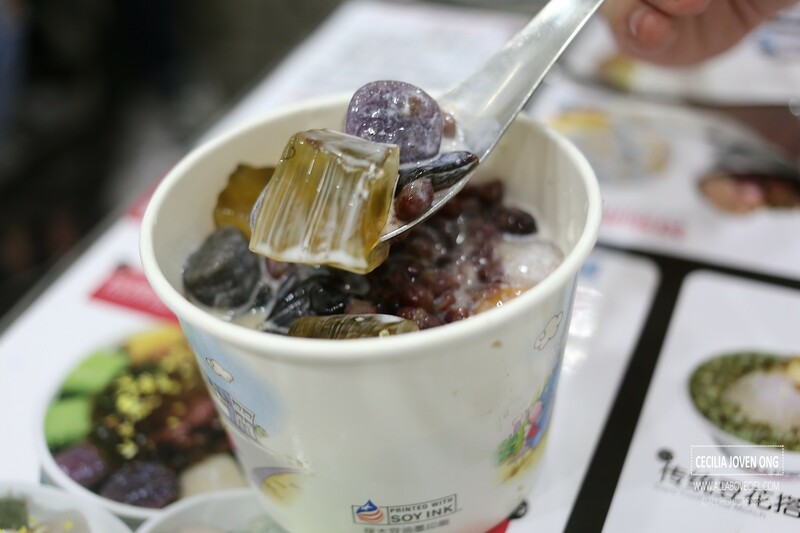 Other than grass jelly, there are taro balls of 5 different flavors, a handful of red beans and osmanthus flower jelly cubes in it, and when you are about to eat then pour in the small container of milk. The level of sweetness is just right. The taro balls have a desired chewiness with an amazing softness, it really tasted much better as compared to the taro balls of their competitors. The osmanthus flower jelly is making their signature desserts to be rather refreshing and quite special. I enjoyed it so much. If you happen to be in Ang Mo Kio central, you should visit them. 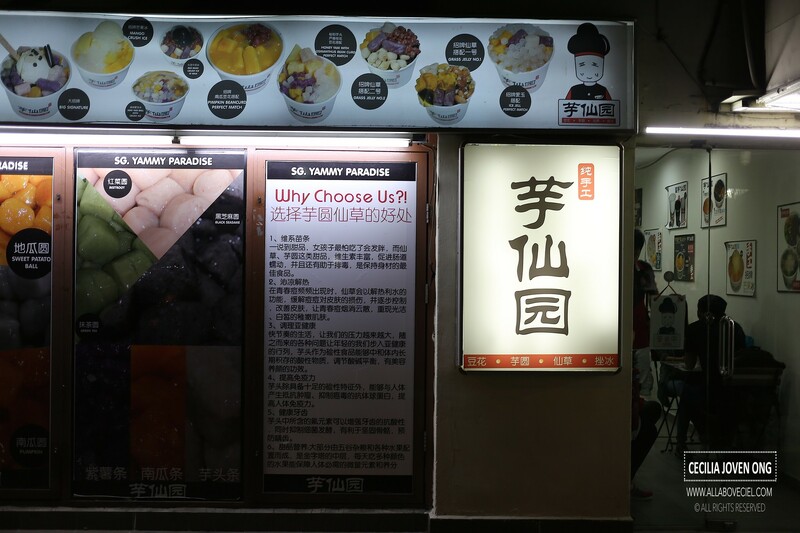 They are near the Macdonald's at Big Mac Centre and just a couple of shops away from the S11 coffee shop, directly facing the main road of Ang Mo Kio Avenue 3. There are also shaved ice desserts and ice blended drinks on their menu. Thanks for the update. Please keep me posted if you hear from her.